Precision Dynamics is using passive RFID wristbands to track jailhouse prisoners. Right now, the company is in local jails, but state prisons are next. “We currently have three facilities (jails) up and running,” said Tom Foster, RFID patron management specialist for Precision Dynamics. “We also have a dozen water parks up and running so you don’t have to carry a wallet,” he said of the company’s RFID Clincher wristband. PDC’s RFID wristbands contain a microchip and antenna, which allow information to be written to and retrieved by RFID scanners. The wristbands can also be indexed to instantly retrieve and verify each inmate’s photo and ID information from a facility database. The Clincher Smart Band enhances correctional facilities’ overall inmate safety and security. 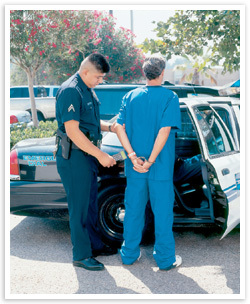 It protects guards and administrators from costly litigation. While the company’s wristbands are currently in county jails, “there’s a lot of talk about expanding into (state) prison systems,” said Mr. Foster. PDC has had “a lock on inmate identification bands for decades,” he said. The Clincher product alone has been around for 10 years. “With RFID coming into play in the last couple of years, we found it (jails) to be a great niche market for our existing Clincher band,” said Mr. Foster. The wristband used in county jails is a heavy duty band virtually indestructible. Mr. Foster would not reveal the material used in the band’s construction. “It’s very robust, you can’t cut it,” he added. The wrist band’s primary jailhouse use is to track time and attendance for inmates and guards, said Mr. LaRosa. At a Clincher-equipped jail, correction officers are issued an RFID badge and inmates the wristband that contains an RFID chip. 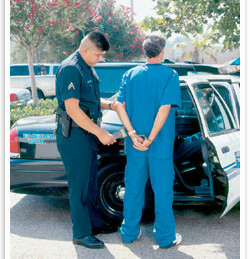 “The correction officer’s badge is read, and time and date stamped, when he comes on duty. The officer reads each inmate’s wrist band while he’s in the cell. Then, he can hot synch his reader to a reporting structure which is custom tailored to each facility’s need. But you have the capability to drill down by location,” said Mr. LaRosa. If the jail wants to see what an inmate did that day and where he was, or which correction officers he came in contact with, that data is available. 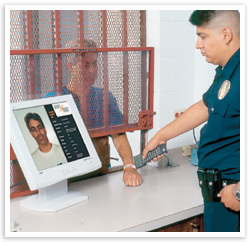 When the band is scanned, the inmate’s picture pops up. “That also prevents releasing the wrong inmate,” said Mr. LaRosa. He said the jail could install gate readers through which all the inmates at some point during the day have to pass through, such as at the cafeteria. “If 100 went in and only 99 came out, then you’d know immediately to look for that other inmate,” said Mr. Foster. As for the location tags, they can be posted in each individual cell or outside each pod. “Typically,” said Mr. Foster, “they want the location tags outside each cell.” Tags can also be installed in the infirmary.